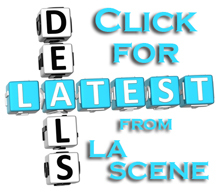 Paris Chansons is LA’s premier French band. 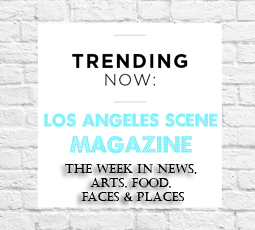 Recently featured on the CBS/KCAL news, they are known for their original renditions of French favorites from Aznavour, Brel, Dassin, Piaf, Montand all the way to contemporary artists like Zaz. Their exhilarating performances are punctuated with traditional jazz standards as well as classics in Russian, Italian, and other languages. The group performs regularly at the Catalina Jazz Club, the Sofitel, venues in Orange County and private events all over Southern California. Four multilingual singers bring an unparalleled diversity to their shows. Julia Kantor, originally from the Ukraine, lived and studied in France where she discovered in French music a soul connection that still imbues every performance. She entrances from the stage with a sultry voice and dynamic presence. Together with her husband, Jacob, a Russian-born singer/songwriter, they launched Paris Chansons. Max Cohen grew up in Morocco steeped in French music, particularly the songs of Enrico Macias. Max’s rich velvety tone delivers beautifully nuanced renditions of his favorites, complete with a signature North African lilt. Jean-Louis Darville, born in Paris, is not only a gifted vocalist but also a professional actor. He approaches each song like a theatrical performance and lets the music take over, adding a unique spin to the beloved songs of Brel, Gainsbourg and Montand, among others. Superb musicianship anchors the ensemble, effortlessly moving from jazzy improvisation to slow-burning balladry to blistering gypsy fervor. Paris Chansons, all seasoned pros, the musicians are Jeff Lams on piano, Adam Cohen on upright bass, Endre Balogh on violin, Sinclair Lott on drums and Jacob Kantor on guitar. Paris Chansons takes you an a journey without leaving your seat (except maybe to dance! ), a spectacular celebration of French and international music that brings the world that much closer. If you want to book Paris Chansons, they offer a variety of options. Choose the fabulous duet for more intimate occasions, a quartet or the full dynamic 8-member band. 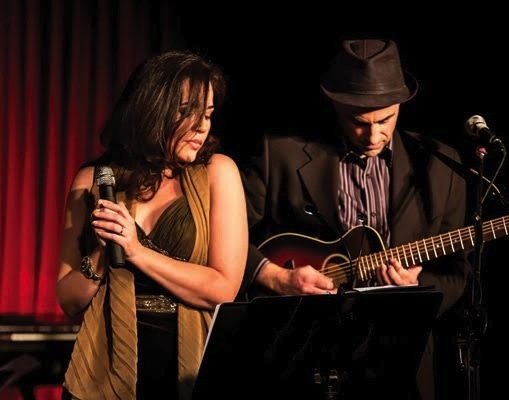 If you’re looking to create a Parisian ambiance, or just want a French flair present, Paris Chansons is definitely the band of choice, providing a customized experience that’s tailored to your specific preference. With a variety of influences such as Russian, Spanish, Italian, or Hebrew the night is always customized with you in mind. 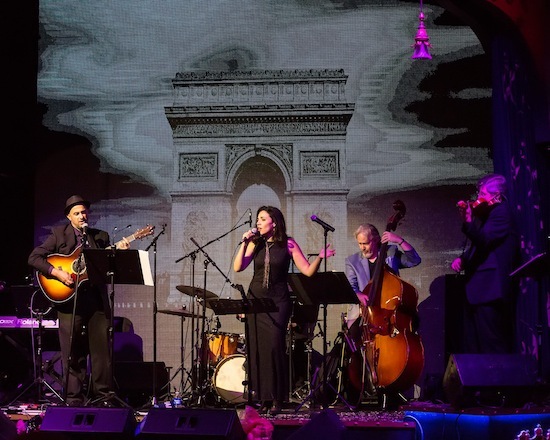 The Paris Chansons band performs monthly alternating between the legendary Catalina Jazz Club in Hollywood and the Sofitel. We perform for private & corporate events all over.